I take PayPal for internet purchases, and cash for local. 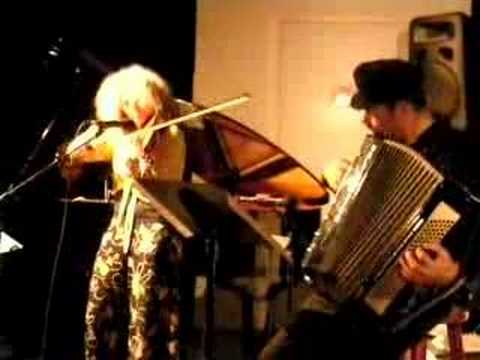 I will ship any of these instruments anywhere in the US for an additional $25 to cover my packing and shipping costs. This is a mandolin I purchased off of eBay about 12 years ago. It's beautifully inlaid throughout. Some of it is embedded, some is shellacked on. 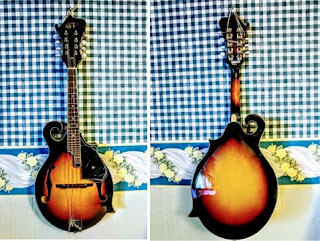 It's a nice sounding mandolin with a very wide neck, suitable for players more familiar with wide necked mandolins, octave mandolins, tenor banjos, etc. There is a hairline crack on the back which doesn't affect the sound in the slightest. The tuners are mismatched because the luthier who worked on it couldn't find adequate replacements and used what he had in stock. I'm getting rid of it because it's gathering dust and while beautiful to look at, has no other value to me. It did not come with a case, but I can sell you one for an additional $75 (padded with shoulder straps), or $125 (hard shell). I paid $569 for it in 2007. This is a Rocky Top F5 model student mandolin. I rented it out to a couple students and want to replace it with a new one. I paid about $100 for it and am willing to take it in trade or for cash. It did not come with a case, but I can sell you one for an additional $75 (padded with shoulder straps), or $125 (hard shell). This is a hand-carved mandolin by Mandomo Strings in Holyoke, MA. They call it "The Kitten" (because of its relationship with the Bluegrass Cat - long story). Mine has a tiny blemish in the scroll, which is why I got it at such a low price. 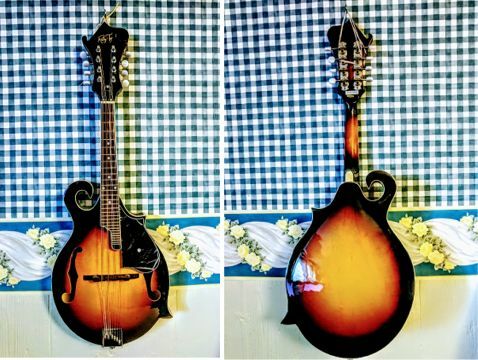 I love mine and don't want to part with it, but if someone needs an affordable F5 mandolin with a really great tone, this is it! I recorded my latest BG album "Old and Astray" with it and if you listen closely, you can hear the meowing of the kitten in the background (I'm joking, no animals were hurt during testing). I paid $550 for mine. It did not come with a case, but I can sell you one for an additional $75 (padded with shoulder straps), or $125 (hard shell). I have other mandolins for sale and special pricing on anything by MandoMo Strings, so if you want to try any of these out, or hear me play them over the phone/internet, let me know!